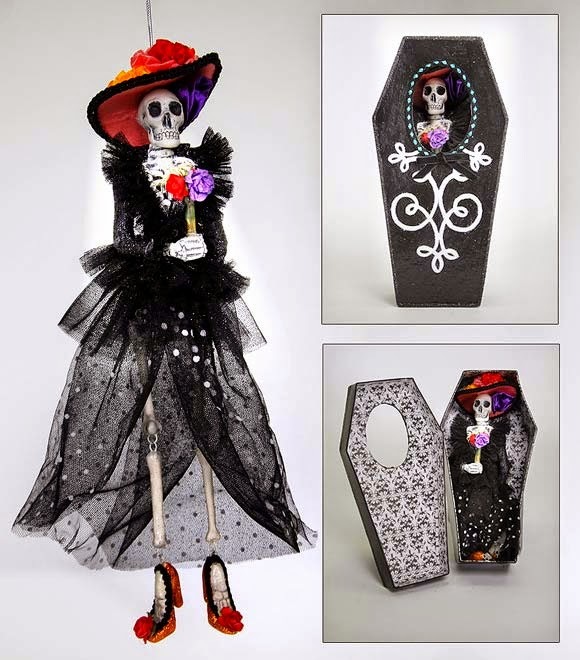 How wonderful are these pieces from Katherine's Collection?! 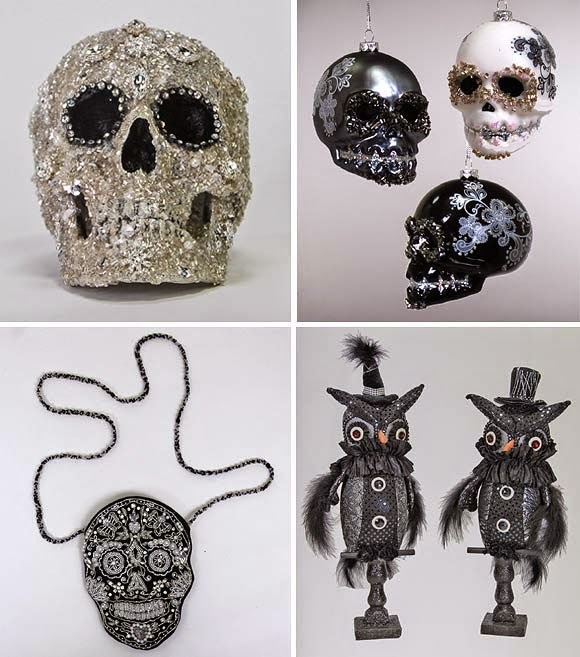 Embellished skull trinkets and bags, glass hanging decorations, spooky owls and Day of the Dead related ornaments - I've died and gone to Halloween heaven! Katherine's Collection started life in 1991 with Katherine, a party planner, creating one of a kind pieces from her home. Today, the Northeast Ohio-based company employs the talents of a team of creatives and has grown from a well-kept secret to an international brand. I'm not sure of UK stockists (if you know any, please leave a comment!) but Selfridges do stock a few Katherine Collection items in their current Christmas range.